Leopard Tracker™ is a mobile-first application designed for transport companies, courier drivers, supply chain, and any related product or service delivery operator. It provides your customers and/or mobile workers with on-demand information about specific trackable deliveries. order, payment and address details; to check their order or service contents are correct, paid for and approaching the right address. 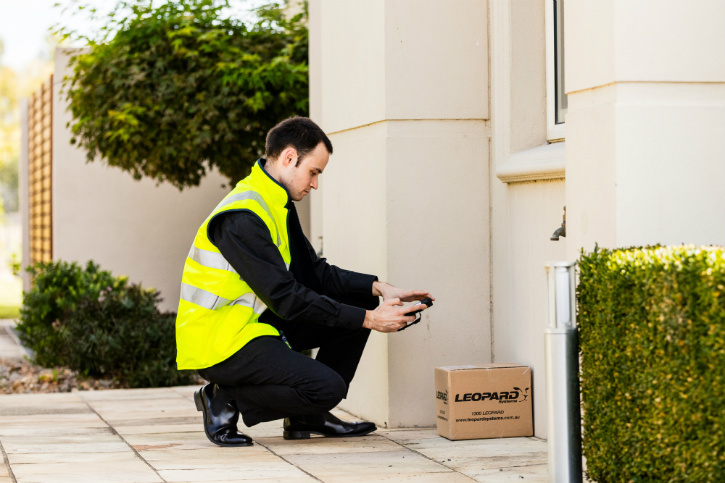 Plus, through the Leopard Tracker™ interface your customers will have an easy way to contact your business when unforeseen situations hinder delivery arrival. Or, to put into action any changes that may be required for their delivery or service. Customer engagement of this kind will ultimately save time from your communication processes and increase your delivery and service efficiencies. Leopard Tracker™ is an optional extension to Leopard Delivery™ and Leopard Delivery Cloud™ applications available as a direct download from iOS and Android app stores. » Unlock new revenue opportunities within your delivery service. Enhanced customer relations and loyalty.